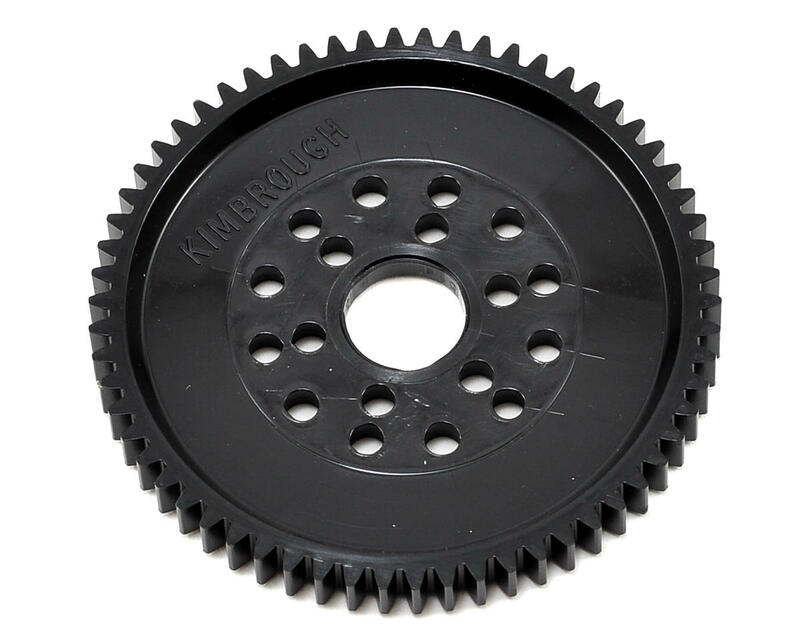 Kimbrough 32 Pitch Spur Gears are molded with black 4/6 Nylon plastic, because black dissipates heat into the air better then any other color - and high temperatures are not good for thermo-setting plastics. This plastic is almost three times tougher and will withstand operating temperatures 75° to 125° higher than plastics used by other R/C car gear manufacturers. Kimbrough spur gears are full width, because a narrow or profiled plastic gear can deform under load, is weaker and less efficient. This can cause drag in the gear train and waste horsepower. The wider a gear is, the more load it can handle. The only time gear engineers narrow gears, is when there is a space limitation. 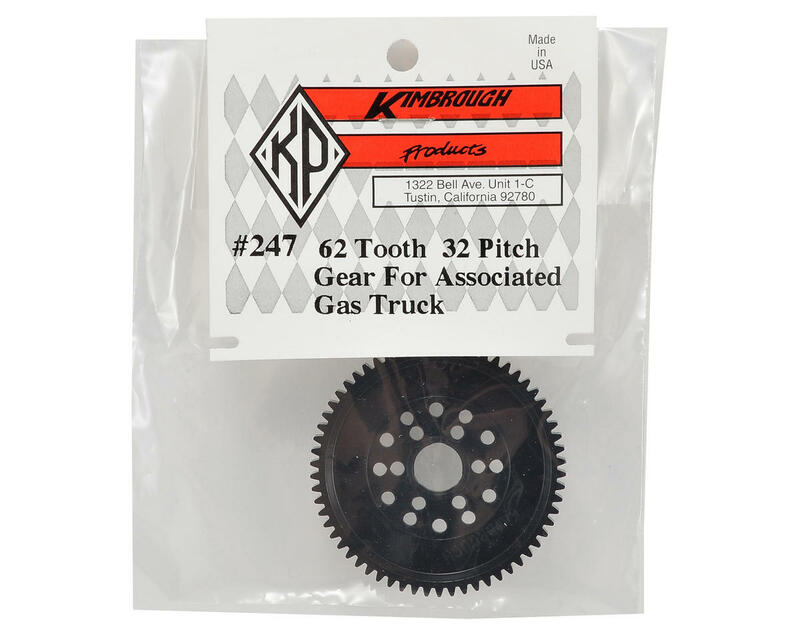 Kimbrough Racing Products gears run quiet because they have the correct tooth shape and don't have to be narrowed. Plus, these spur gears are available in a variety of tooth count choices to allow you to fine tune the torque and top speed of your model.